Analyst David Cearley unveiled the research giant's most important trends that IT leaders need to work into their plans for 2017. Gartner analyst David Cearley delivered the 10 most strategic IT trends for CIOs to plan for in 2017. 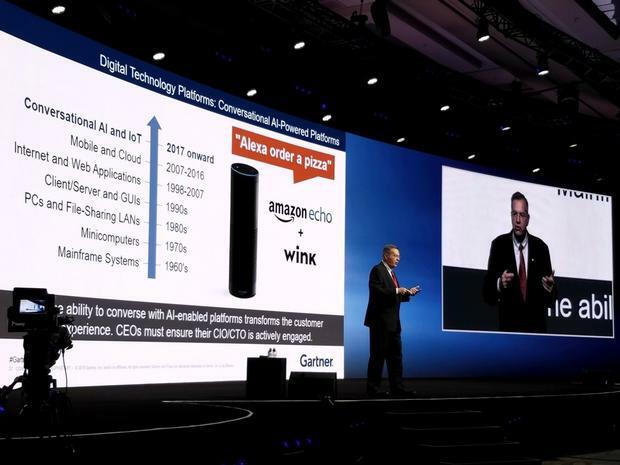 Gartner rolls out lots of lists and predictions at its annual Gartner Symposium and ITxpo, and while some have value for dreams and entertainment, the company's list of the top strategic IT trends for next year always has immediate value for planning, prioritizing, and budgeting. At the 2017 Symposium on Tuesday, Gartner analyst David Cearley rolled out the top 10 list to technology leaders. "These are the trends you can't afford to ignore, and have to factor into your planning," said Cearley. "Artificial intelligence is going to be the next battleground through 2020." It doesn't replace everything that's being done now, but it will trigger some autonomous systems that will be programmed to operate independently and allow IT departments to go deeper and do more. This will include chatbots, virtual assistants (like Siri and Alexa), and what Gartner is calling "smart advisors"вЂ”basically, the enterprise version of AI assistants that are aimed at very specific tasks and verticals. Think of the virtual health care assistant powered by IBM Watson that has memorized all of the medical journals and texts and you can ask it anything. Here, things such as robots, drones, and autonomous vehicles are going to take physical automation to new heightsвЂ”powered by software and machine learning on the backend, of course. While Gartner doesn't see virtual reality of augmented reality taking off among consumers yetвЂ”and neither do weвЂ”it does see lots of specific uses for it in the enterprise. TechRepublic has been writing about many of these business cases over the past two years. This is the most elusive of the items on Gartner's list. Their definition for it is "a dynamic software model of a thing or system that relies on sensor and/or other data to understand its state, respond to changes, improve oeprations and add value." It's essentially a combination of metadata, condition/state, event data, and analytics. "Think about how you're building event-driven systems," said Cearley. Blockchain and bitcoin have obvious and massive implications for distributed ledgers, supply chains, and the larger global finance system. However, Gartner is bullish on blockchain as a larger disruption to IT and society. "It reduces friction in business and that's its key value," he said. AI assistants can help people work better and smarter, as in the IBM Watson health care example mentioned above. But, more and more systems are going to become conversational and it's not just about voice recognition, it's how people interact with systems. Increasingly, the systems will learn how to adapt to the humans instead of vise versa. "You need to be building your intelligent digital mesh," Cearley said. The new app and service model in the enterprise will be cloud-based, serverless, service-oriented, software-defined (with APIs), and event-driven. Nearly all organizations need to "bring security earlier and more deeply into the process." That applies across IT (and to tech vendors as well, but that's a story for another day). "You can't rely on perimeter defense. You have to do layering," said Cearley. AI and machine learning will have an important role to play in making next generation systems more dynamically and adaptively secure. Gartner members can read Cearley's full report on this topic. Discover the secrets to IT leadership success with tips on project management, budgets, and dealing with day-to-day challenges. Subscribe to our Executive Briefing newsletter. "AI and machine learning will have an important role to play in making next generation systems more dynamically and adaptively secure." What clap trap! How about getting the basics right before trying the whiz-bang features! 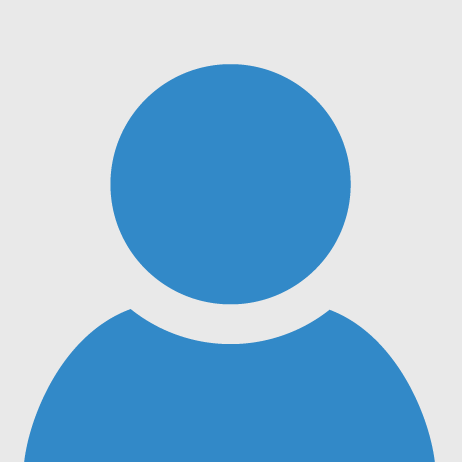 Want to be an ethical hacker? Do this course! Data Science and Machine Learning with Python!